One thing that will certainly ease the stress and hassle of moving day is having a friendly and professional removal team on hand to load and transport all your household items. Simply call Removals London on 020 8746 4334 today to find out how our team can help you and make your removals into Hampstead and the NW6 area as pleasant as possible. Making use of our professional removal services and vehicles in NW3 region can really help you to not only get settled into the local area much quicker, but make sure that all the hard work of moving day is dealt with by our professional movers. Our removal services present a number of different options in order to ensure we are able to cater for moves in NW11 district of all sizes and needs. Our team is trained to handle and pack your heavy and large items of furniture and household appliances such as fridges and freezers. Tackling these items alone is not recommended, as they require special lifting techniques and pose a serious injury risk if not handled correctly, so why not leave it to our professional team? Our removal vehicles are able to cater to a variety of moving situations. Whether you need a lighter removal van for small local removals or something larger for a major relocation, we have a variety of removal services available to make sure your move goes smoothly. Hampstead actually falls under the London Borough of Camden, and is located close to Camden Town and also Charing Cross. 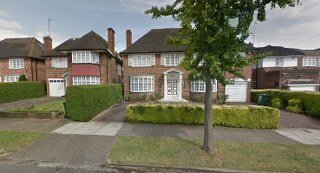 It is a very affluent part of London, with more millionaires living here than in any other part of the country. The area is also famous for its cultural heritage, having been home to a number of well-known artists, writers and musicians historically. As a result, property prices in the area are very high, and property is always in demand. There is plenty to do in the Hampstead area, with a number of museums and theatres that cater to those interested in the arts or the history and politics of the region. Some of the museums are unique to the country and as a result draw crowds from all over the city and the UK. Of particular interest are the Keats and Freud museums. There are also a number of well-established public houses in Hampstead, as well as cafes and eateries. The restaurants in the area provide a wide range of cuisine from all over the world, so you will always have options when you want to eat out. Before you move into the NW3 area, we do advise that you contact the local authority with regards to applying for a residential parking permit. Not only is this worth getting before you move in for your own vehicles, it also ensures that our removal vehicles will be covered by your permit when we unload your goods into your new home. This also prevents our vehicles from incurring penalty charges which you may then be liable for as the permit is the resident’s responsibility. Needless to say this can be an unwelcome addition to any relocation, but such a situation can be easily avoided by simply checking the local authorities’ website and finding out how to apply in advance. Book Today and Solve All Your Removals Issues in Hampstead! Once you have set your moving date, make sure to contact Removals London and find out how our moving teams can help you. Our staff are always happy to answer any questions you might have with regards to our service, and make sure we find the right individual removals solution for you and your relocation to the NW6 region. Call 020 8746 4334 now for a free quote!